BRYAN EATON/Staff photo. 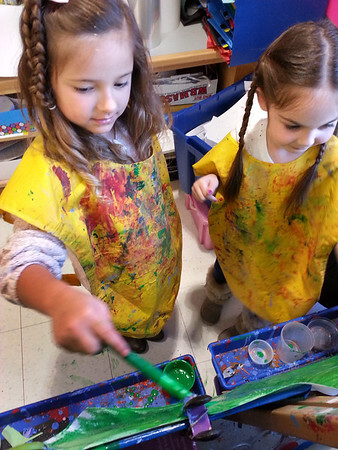 Victoria Penney, 5, left, and Avery Pelletier, 4, paint the picture of a trap for Leprechauns on Monday as the class works on artwork for St. Patrick's Day. They were in Julie Deschene's pre-kindergarten at Salisbury Elementary School.